Trump Tycoon : Donald’s Clicker by Flowmotion Entertainment is an entertaining idle capitalist clicker adventure game and has no parallels. 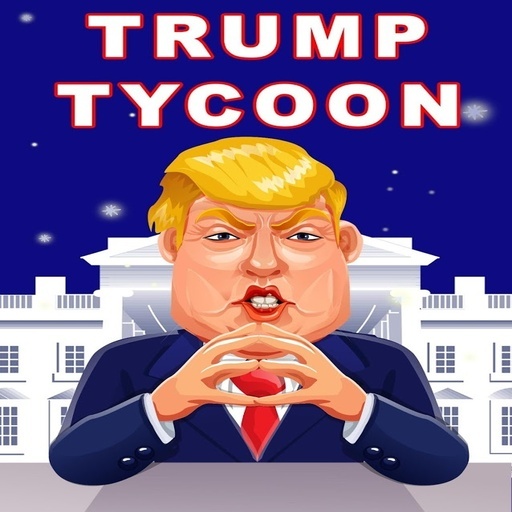 Vancouver, BC, Canada - Flowmotion Entertainment Inc. a leading casual game publisher, is proud to announce the availability of its latest game Trump Tycoon : Donald’s Clicker. In this game Billionaire Trump builds his business from scratch into a multi billion dollar empire. The game is emotionally rewarding as you see your profit growing astronomically. Trump Tycoon : Donald’s Clicker is really simple to play and keeps boredom away. The repetitive clicking or tapping action is the basis for winning currency and progressing in the game. Gamers can go about doing their chores while still playing the game. Love Trump or loathe him, you’ll love this game! The app is available for both iOS and Android devices. This simulation clicker game is free for all users and has options for in-app purchases. Flowmotion Entertainment Inc. is committed to building fun games that can be enjoyed by the whole family and by boys and girls, men and women, of all age groups - kids, adults, and older generations. The company was founded in 2014, and is a fast growing mobile game studio which has published over 500 games enjoyed by over 5 million people around the world! Flowmotion is Co-Piloted by Dario Pavan and Ryan Yada, who guide the company's international all-star team on a fun-filled journey of constant and never-ending improvement.